I was lucky enough to be back at #RIDE in Amsterdam in November, hosted by my good friend Rob Van Elburg. #RIDE is the recruitment industry dance event, attracting 1500 recruiters from across Europe. The next #RIDE event will be in London in Feb.
Buy tickets for #truLondon and #RIDE in Feb. I was leading a track on Facebook recruiting, when Pete Linas of Bullhorn Reach commented how a small change to their candidate interface. The tab to apply for a job used to be labeled “Apply.”. Bullhorn Reach allows you to share jobs with all of your network on Facebook, LinkedIn or Twitter, or with targeted connections. If the candidate clicks on the link to the job, they get the full job description. 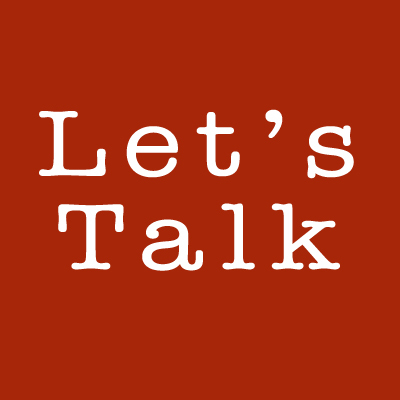 What the team at Bullhorn did was quite simple, they changed the tab to read:”Lets Talk.” Now this seems like a small change, but it made a massive difference to the level of response which increased significantly. What this story really illustrates to me is the difference between applying and talking. There are those job seekers who will hit any application because they are desperate for a new opportunity, perhaps they are out of work. The process of applying is a big commitment to the working candidate or passive jobseeker. They need more than a job spec before they want to share their C.V. In the past, they may have gone to the effort of forwarding their details, but in reality,many wouldn’t. The invitation to talk encourages the possibly interested or vaguely curious to explore more,and become candidates if the fit is right. Engaging at this stage of the process is great for recruiters because they can start the filtering or selling process much earlier. I remember speaking with Greg Savage at #trulondon3 about his decision to take jobs off the corporate website, whilst he was C.E.O. of global marketing recruiters, Acquent, and connect job seekers direct with recruiters, working in their field of interest. This proved to be particularly succesful for Acquent, and is a strategy he has taken in to his new business Acquent. The reasoning behind this is that recruiters can quickly identify those candidates that are on the money at point of entry, and start to establish a personal relationship quickly. One of the big impacts of the recession on job seekers is that they are far more likely to drop out of the process. The relationship and trust between the recruiter (corporate or third-party) is key in influencing decisions particularly the offer stage. Equally, by identifying those candidates that don’t fit the bill at entry-level means you can manage expectation. Great for your employer brand and a real-time saving down the line. It worked for Acquent, so it is no surprise that the Bullhorn Reach switch from “Apply” to “Lets Talk” made such a difference. Social gives job seekers accessibility and opportunity to engage when they want to do it most. My experience from the Facebook projects that I have been involved in recently is that potential candidates don’t really want to ask about job descriptions. They are more interested in the application process, skills needed and culture/environment. The key-consideration is to make sure that anyone offering the talk option,then you need the infrastructure to engage. If a potential candidate wants to talk, then they want to talk now. A post and pray approach means that recruiters can gather response and come back in their own time. Speed is an issue in a competitive sector, but there is the luxury of being able to manage communication after the application process. Adjusting your own process and marketing from apply to talk to, has many benefits if your ready for engagement. Not least, the increased commitment from candidates and significant growth in candidate flow. 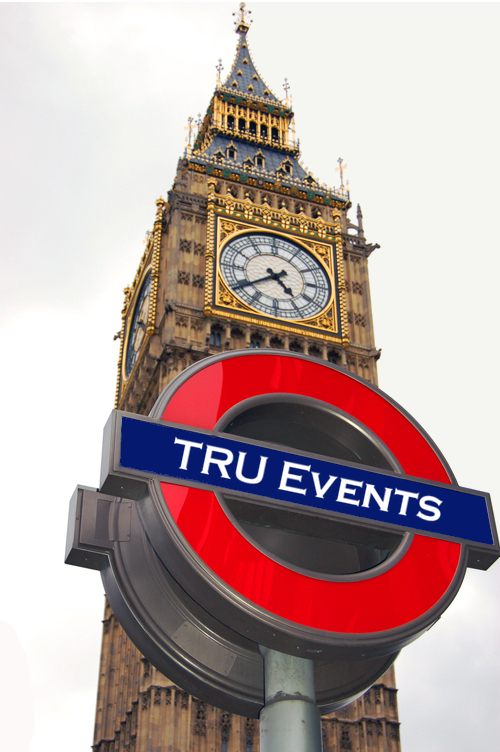 Are you coming to #trulondon? Why the bloody 'ell not? On Wednesday 23′rd September 2009, at around 2.00pm, I first got the idea to run an unconference around recruiting and HR themes in the UK. I remember the date well because I was in Toronto at my first unconference, wearing a suit and sitting under a tree talking about of all things, the candidate experience. After early trepidation, I just loved the concept and the move away from the traditional conference. I had no grand vision of where I wanted it to go, but this was the moment that #tru, the recruiter unconference was born. On return to the UK, I set about putting the first event together. I had no money, no venue, no track leaders, no blog or website or anything. Just an idea and twitter.I was a bit different in the way I was networking at that time. Without going all x factor, it has been a hell of a journey, and I’m loving every minute of it. There’s been 12 events since, and over 1200 attendees, from London to Boston in the USA. People have come from 16 different countries and 4 different continents, and it all started with a tweet. None of this would have happened without the support of JobsiteUK. they are the platinum sponsor of all of our UK events. More importantly, looking back, jobsite brought some legitimacy to the unconference concept. It’s a hard concept to sell. No fixed outcomes or learning points in a brochure. No presentations. I think you really need to attend to fully appreciate what you get out of a 2 day event that has no fixed structure. Jobsite have also helped with track leaders like Felix Wetzel, who has been really open in giving access to all their research and data to attendees . I still feel very fortunate to have the number of people willing to fly around the world to share their story, experience and expertise as both track leaders and attendees.I’m sure having a brand like Jobsite associated with the event has helped in this.Jobsite also understand the concept of no real advertising and definitely no pitching. Try selling that concept to sponsors, we want your money to make the event happen but we don’t want you selling to anyone!Thanks to all at Jobsite for your continued support, belief and encouragement. You have made this possible! I asked Sodexo’s VP for talent attraction Arie Ball, why she got on a plane from the US most months and sent Senior Recruiters. Arie replied that she doesn’t get massive revelations, but she leaves each event with a host of smaller detail that she can put in to action immediately, as soon as she gets back to her team.I think this is because everyone attending is involved and active in hiring people and have real life experiences to share. The unconference conversation allows you to pick your conversations for what you need rather than being shoe-horned in to a schedule. On August 24′th and 25′th, I’m off to Bucharest for #truRomania, which is our first venture in to Eastern Europe, then it’s back to the UK for #TruLondon on the 1′st and 2′nd September. We have a great line up including Jobsite sponsored track leaders Jason Lauritsen and Master Burnett, as well as Kevin Wheeler, Arie Ball, Matthew Jefferey, Jamie Leonard, Mervyn Dinnen, Bill Fischer, Andy Hyatt, Gordon Lokenburg, Charlie Duff, James Mayes, Hung Lee,Etienne Besson, Dave Martin, Chris Bradshaw, Ricky Wheeler, Lucien Tarnowski, Tristan Greaves, Lisa Scales, Jorgen Sundberg, Rob Van Elburg, Patrick Boonstra, Max Hayward, Martin Couzins, Michelle Rea, Steve Ward, Johnny Campbell,the #TruGrad Alumni, #TruGrads, Ivan Stojvanovic, Peter Cosgrove, Oscar Mager, Michael Wallace, Ed Hendrick, Pete Linas, Lisa Jones and more. There will be plenty of case studies, a product review area,live streaming hosted by Jobsite with well known editor of Recruiter Magazine Dee Dee Doke as the host. We’ve also teamed up with Rob Van Elburg of #RIDE, the recruitment industry dance event, to host #truRIDE, their first event away from Amsterdam. you can join 300+ recruiters, live DJ’s and other entertainment from 7.00 – late. It’s going to be a very cool event at The Lane Bar, the same venue as #truLondon. To win a ticket, all you need to do is tweet “I want a ticket for #trulondon #RIDE “. The first 100 tweets win a ticket to #RIDE only, if you attach the link http://trulondon4.eventbrite.com/. Get tweeting! See you in Romania and London, thanks for coming on the journey so far! BUY TICKETS FOR #TruLondon – 8 LEFT! 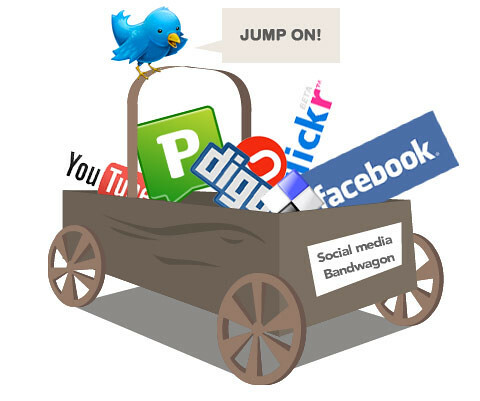 SOCIAL MEDIA: A compulsory subject for all university degrees? Hi, I’m Ruxandra, one of the #trugrads. Bill is climbing mountains in sunny Wales this week so he invited me to write this guest blog on his behalf. This is the topic I will talk through at #Tru Amsterdam. Definitely!!! I would like to start this post by picturing the usual process of a third year student searching for the job he wants upon graduation. Alex, a very good third year Law and Business student at an average UK university wants to work in Recruitment. What is he going to do? He will follow the usual process like any other third year student. Alex will seek advice for writing his CV at the career office in his university, spend long hours filling in application forms for the top 20 UK recruitment companies, he will get positive feedback from 7 or 8 of them and the final result? In the end he won’t get any job offer, or he might get one, but not the one he wanted. What are the possible reasons for this? There are a few reasons like: fierce competition as graduate recruiters prefer candidates from top universities, applying for the wrong recruitment sector, he might not have matched the needs of the company at that time, lack of experience, and I could give many other examples. Did Alex make use of social media in any way in his job hunt? LinkedIn? Facebook? Twitter? He might have a profile on each of them fair enough, but does he actually know how to use them to get the job he wants? 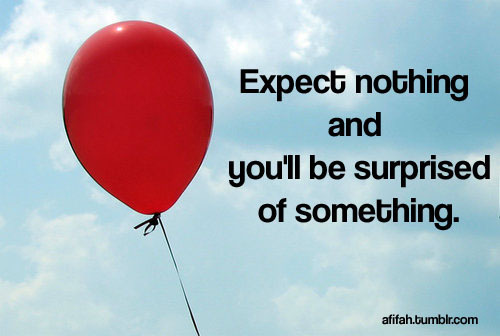 Or get noticed? Not really! How can social media help a third year student in his job search? First of all, social media represents the best way for students to advertise themselves and catch the attention of employers. An updated LinkedIn profile with an appropriate professional headline, accompanied by group posts, related tweets, and interesting blog topics will make an employer browse through that student’s profile, download his CV and eventually give him a call. Let’s not forget that nowadays recruiters, especially internal recruiters, use social media in a big way. Are students unaware that SME’s offer jobs too? Are companies unaware that skilled graduates can also be found in top 100 (or even 200) universities rather than top 10? There is definitely a gap somewhere and I strongly believe that it can only be filled if students start using social media more. I would now like to give a few relevant examples. My best friend from Romania who wants to work in social media kept applying for jobs and internships at well-known companies for the past two years. She did not have any luck, and was very disappointed. I advised her to start looking for jobs on Facebook (most popular in Romania). One month after she started her job hunt on Facebook, she is working for a medium-size estate agency providing exclusivist services. She is of course in charge of their social media, and really enjoys it. On the other hand, a few weeks ago I refused a job due to its location. At the end, the interviewer kindly asked me if I knew someone else who could be interested in the position. In this case, how can students say that they cannot find jobs? Do they actually know where to look for them? My last argument would be that social media can help students better define what they want from their future job. Through social media students can get in touch with experienced people who can give them valuable advice about the career they want to have. In the last weeks, after I posted in groups on LinkedIn and started to write on my blog, many nice people approached me offering their help and advice. The conversations I had with them helped me understand Recruitment better, decide what sectors I would like to work in, what type of recruitment I want to do as well as the type of company I want to work in. Having said this, what is the best way to make students aware of the benefits of social media and teach them how to use it? Should social media be a compulsory subject in universities?